I have a Black Aqua Terra that I bought used and am considering flipping it. I know it has a 2500 movement but am not sure how to figure out which letter-code version the watch contains. I'm pretty sure the next collector will want to know that information - and I need to understand how the version might contribute to the resale price. Is there a guide somewhere that can help me decode this? 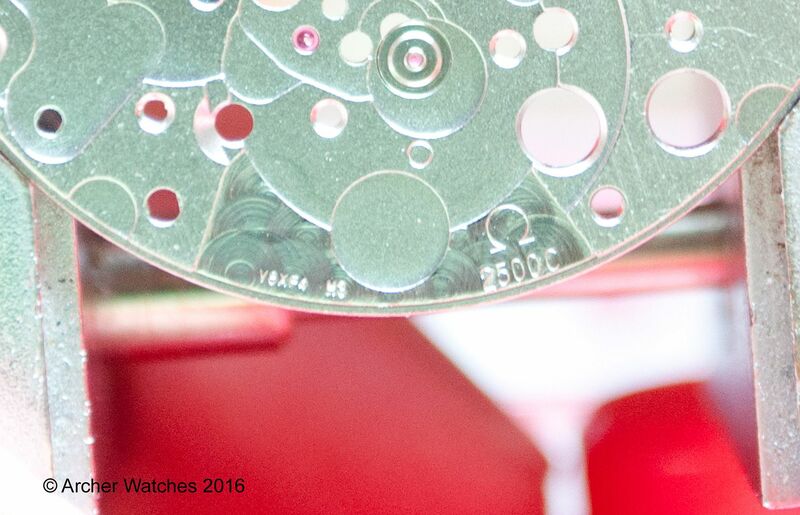 If you look along the outer edge of the movement (through the caseback sapphire), you will find ‘2500’ engraved on it, with the corresponding letter designation. It should either be a B or C.
It may be partially obscured by the rim of the balance, but you should be able to make out the letter. It will require some magnification to see this. Newb question: What's the difference between the different versions? Help with Invita 8926 - which movement does it have? Which watches or movements have overcoil hairsprings?